Norway has taken in many minors from different countries who have sought asylum alone, without accompanying adults. To accommodate these young people, centers developed in different parts of the country. In the following two examples, you will be introduced to two projects where community supported farms have cooperated with the local asylum centers about integration and education of refugees. The first example is from ‘Nerol Community Supported Farm’, which is idyllically placed in the midst of Hol, a mountain area in the county of Buskerud. 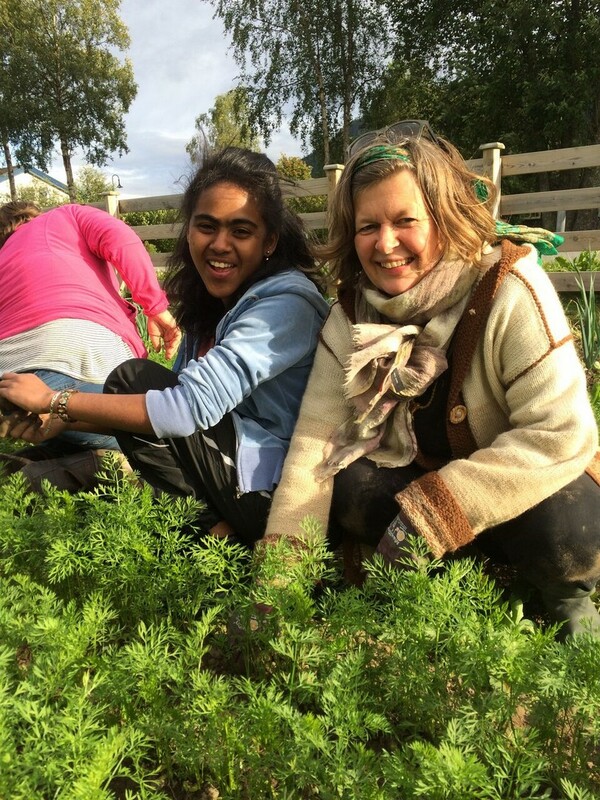 Here a local farmer, Marit Torsrud Nerol, runs a Community Supported Agriculture (CSA) project in which she integrated the project “A Garden for Everyone” for young refugees. The second example is the Dun Farm in Namsos, 200 kilometers north of Trondheim. The August sun warms as they work, nine young refugees (6 boys and 3 girls) together with the members of the Community Supported Agriculture (CSA). Anne Marit Nerol, one of the members of the CSA at the farm, is singing a song by the Norwegian poet Inger Hagerup about a little parsley plant all dressed up, but with nowhere to go, as Abdullah harvest parsley. 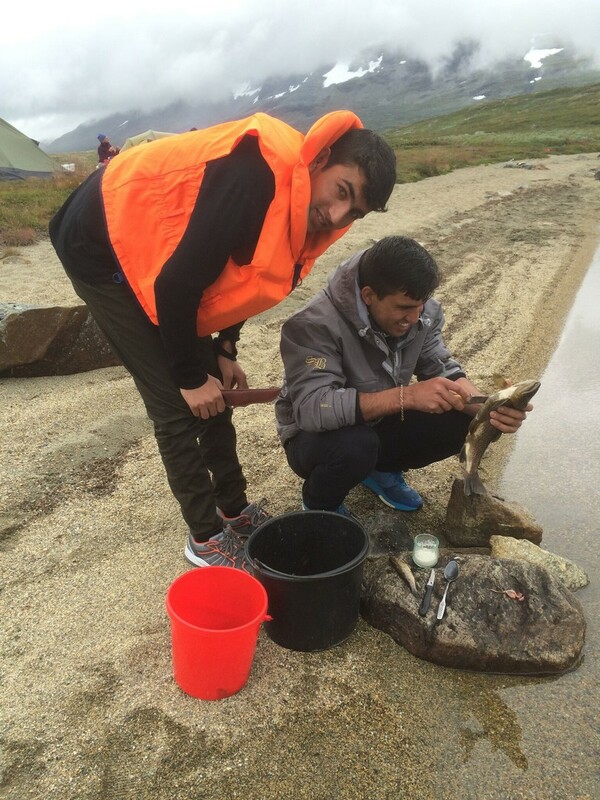 Abdullah is a 16-year-old refugee from Afghanistan. He has never tasted parsley before and is even less familiar with Inger Hagerup’s poem, but the joy of participating on a farm that grows vegetables as a community is obvious. He is happy about the variety of vegetables and herbs found on this three-acre large field, and eagerly explains that his favorites so far are potatoes, field-grown cucumbers, and cilantro. The refugees have signed a contract that they will meet up at two work shifts each week that add up to 40 hours in the course of the growing season. Here they get to take part in everything from the preparation of the soil with compost, sowing, planting and weeding, and finally in the last weeks, taking in the harvest, all woven together with knowledge about nutrition. 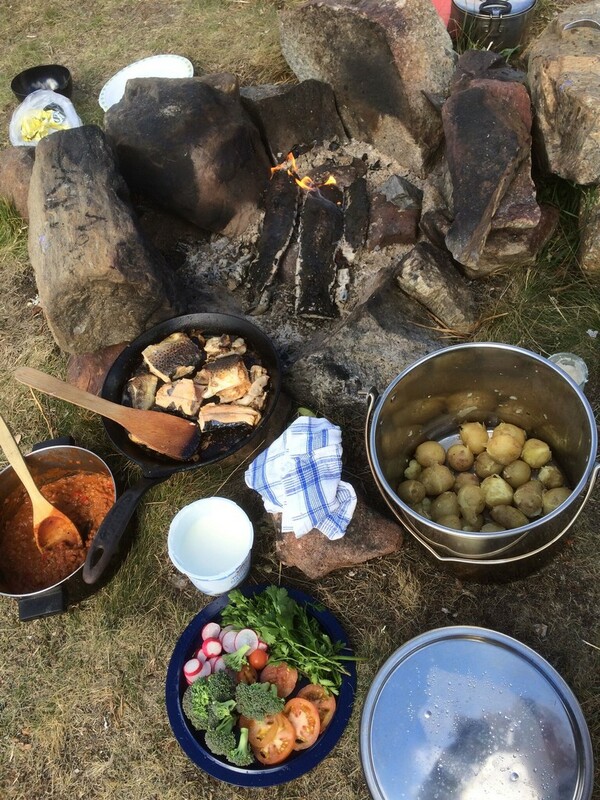 Furthermore, they participate in cooking meals together with the Norwegian participants. “Being able to participate in the harvest at the end of the volunteer work has definitely been motivating for our young members. 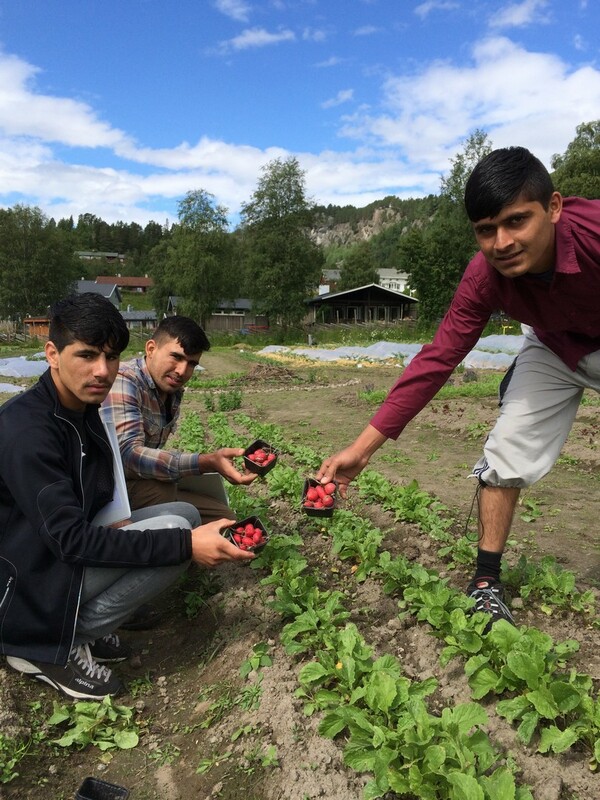 Their eyes shine with pride when they are allowed to harvest vegetables and herbs, and to take them home to the refugee center to cook from what they themselves have harvested,” says Marit Torsrud Nerol, the farmer at the CSA and initiator of the project with the refugees. 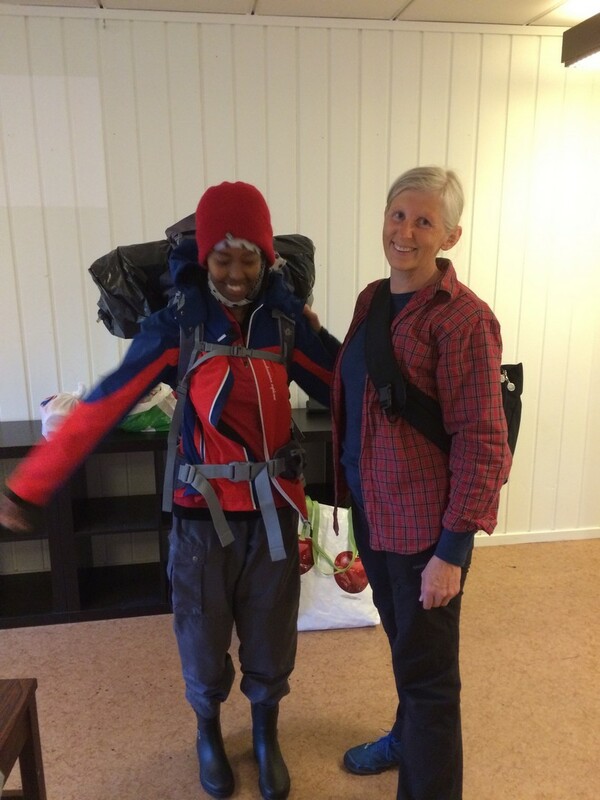 Mari Sondrol Valseth works at the refugee center where the youth live, and stops by the farm to say hello. It is obvious that the young people have become very fond of her; they flock around her when she arrives, and one of the boys gives her a little shoulder massage as we speak. “I notice that getting out and having the opportunity to work in the field is really good for these young people. Many of them have been through a lot, and in light of this, sitting passively at the refugee center is not a good idea. They are happy and excited when they return from their volunteer work, and they are very proud when they get to take home vegetables and herbs,” says Mari. Many of the youth tell us how much they would like to continue at school, but once they turn 16 there is no school offer for them yet. This means a lot of free time, and time to think. On a CSA farm, there is always something to do, fresh air and someone to talk to. After weeding along the row of parsley and fertilizing the cabbage with composted sheep manure from the farm, it is time for harvesting. Radishes, potatoes, parsley, dill turnips and cucumbers are ready for harvesting. Akmal tastes the dill; it is an herb he recognizes from Afghanistan. He nods appreciatively and smiles. “Sometimes they talk about their own food traditions while we work together, and they’ve found many vegetables and herbs that they recognize. Perhaps it feels a little comforting to find familiar smells and tastes, even though they are far from home,” tells Marit. “They are also used to working and cooperating, so their contribution means a lot for us in our CSA,” she continues. The climax of the day’s work is the potato harvesting. The youth flock around Marit and Anne Marit and wait in excitement for their turn to lift up a potato plant and look for all the potatoes that the mother-potato has “raised”. “Ha ha, mother-potato!” Akmal exclaims. “This must be the father-potato then” and pulls up another plant. “Today there are only two plants per person”, says Marit. “If we take up more, there won’t be enough for the other members,” she explains. Language shifts between English, Norwegian and their native languages. In the field there is both language training, encounters between people and sharing of different cultures. When more and more of the local community have the chance to get to know the refugees and hear their stories as they work together, it becomes less frightening to have a refugee center in town. Anne Marit and Marit do not doubt that the young refugees represent a tremendous resource for the CSA. “The young refugees contribute with work, humor and interesting reflections. They are eager to learn, and want to contribute,” they conclude. The goal of the project is to create a safe and meaningful activity where the young people experience hope for the future, can use their resources, develop their skills, talents and social competency and gain confidence through mastery of tasks. It should strengthen their identity and contribute to their independence so that they can manage their own lives. There should also be possibilities for them to suggest changes and improvements and learn skills that they can take with them anywhere. All of the nine-young people had a need for contact with adults and many still have contact after the year’s project ended. 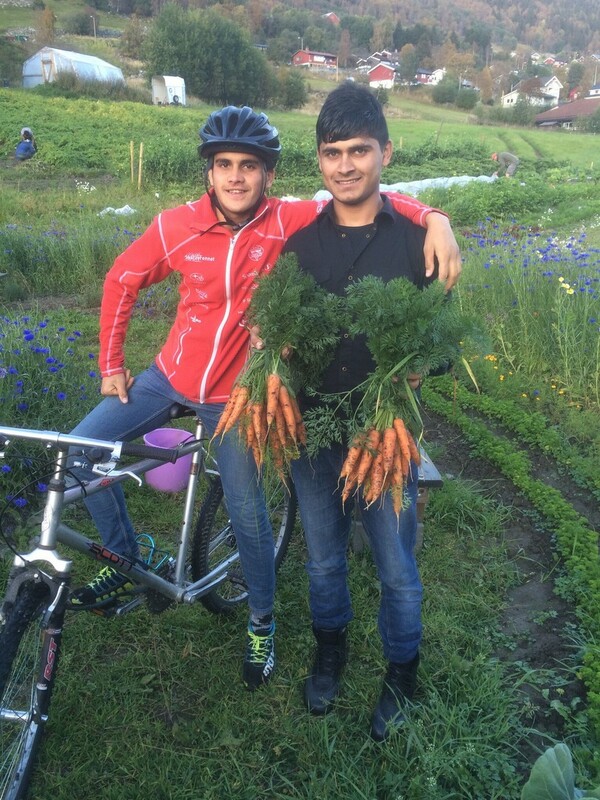 This project has shown that community supported Bio-Farms are very valuable arenas for the needs of refugee youth. The youth are happy with the work, and value the informal situation for contact with the local residents and for learning about language and customs in the country. Placed in the municipality of Namsos, 200 kilometers north of Trondheim, lies the Dun Farm, which is a community supported agriculture. In 2016 and 2017 the farm has been collaborating with the Red Cross, The Norwegian Directorate of Integration and Diversity and Namsos Asylum center in integrating asylum seekers as members of the cooperative. In all, more than 30 asylum seekers, including both adults and children, have been part of the project. At the farm, the asylum seekers work together with local inhabitants. The experience is that the field constitutes an equal meeting space and is thereby a good space for integration. Skills needed in the field are independent of cultural and/or national background, and thereby allows refugees and locals to learn from each other. Having breaks together in field furthermore supports good conversations, as does working side-by-side while planting and weeding. The crops are shared among all participants, and provide a good contribution to the household. The crops also serve as a good topic for conversation and exchange of experience, as the participants share ideas for recipes, conservation methods and tips for handling and preparing the different vegetables. In addition, wild flowers and herbs were harvested, and some of the refugees would share their knowledge about how to prepare healing tea from the wild herbs growing around the fields. For many of the refugees, the prospects of achieving formal education are difficult; however, many are used to physical work and might even have farm experience from their home country. By participating at the farm, they have a chance to use their competences and contribute with important knowledge and skills. This builds self-esteem and a feeling of coping. In 2017, the asylum center has been closed and the farm therefore hopes to involve settled refugees in 2018. Furthermore, they hope to be able to start up a project about work ability testing, language training, and entrepreneurship. The idea is to divide the different work tasks at the farm into different modules, such as tending of different animals, planting vegetables, mechanical weeding in organic farms, packing and labelling of vegetables, using different machinery etc. By formalizing the learning goals of each module, the participants are given documentation of their new competencies, while also trying out whether a job in farming might be a possibility. At the same time, participants with a dream of starting their own company can have relevant feedback and discussions with professionals, as well as a network and possible business partners.